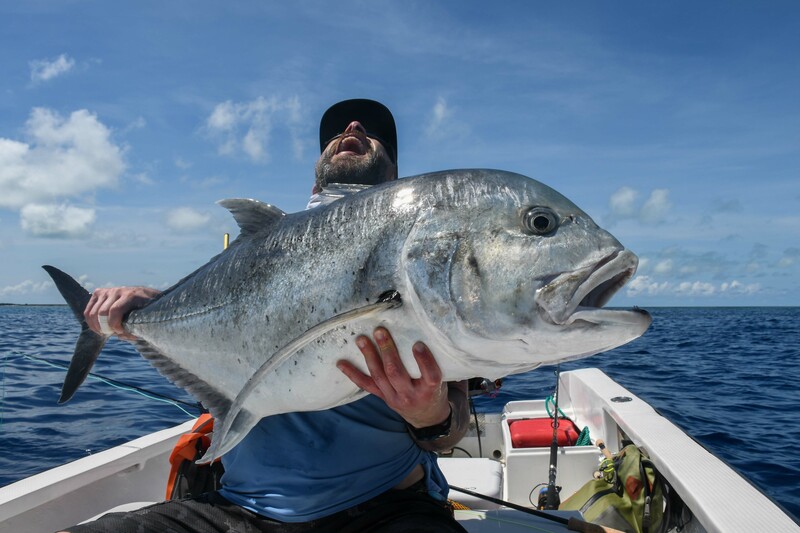 Cosmoledo Atoll Fishing News - The Land of the Giants! The new moon spring tides were in full flow for the week. The first few days of the week were wet and windy but as the week wore on the weather made a turn for the better, bringing sunshine and happiness. 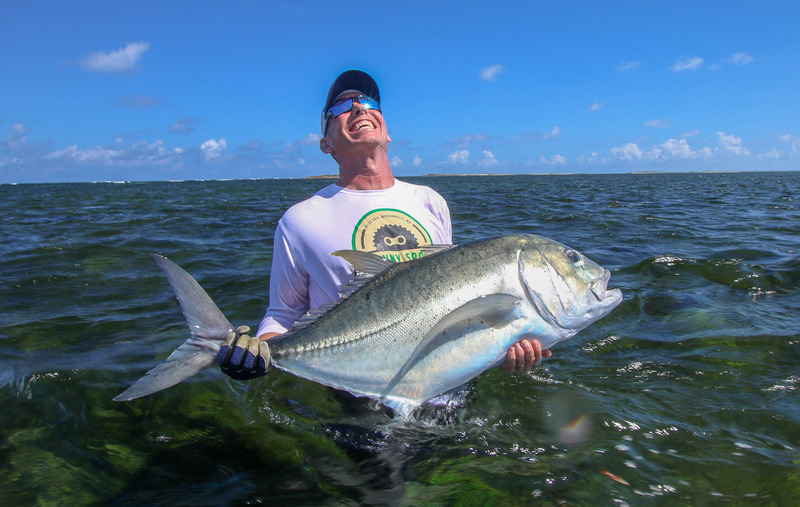 Bill Vansickle got his week off to the perfect start. 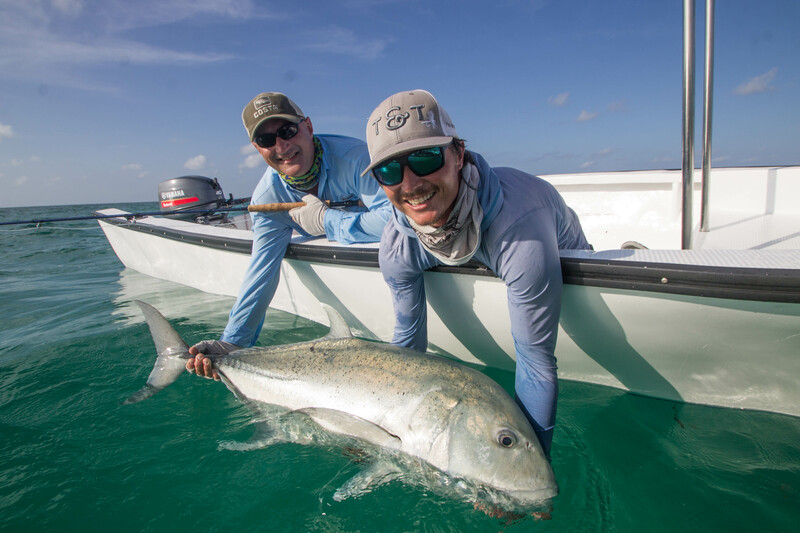 His first GT ever just so happened to be the first meter plus GT on the flats for the season which put his tackle to the test! 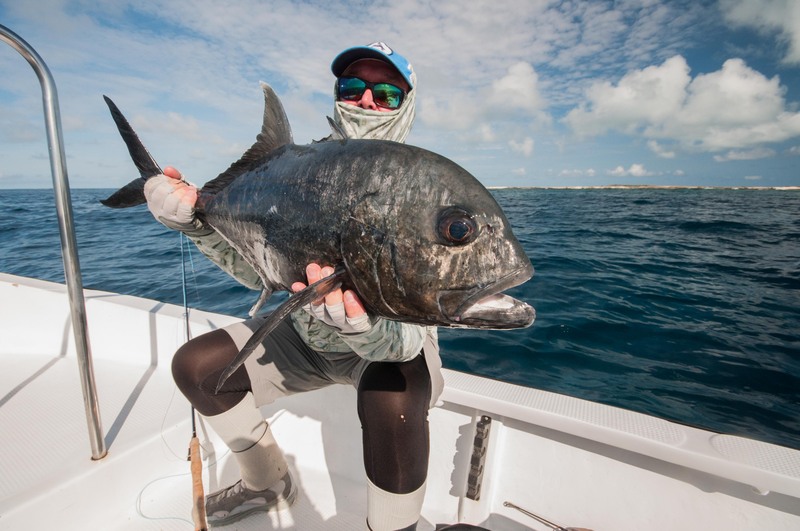 Kyle Guilford wasn’t too far behind him, landing a perfect 101 cm fish. 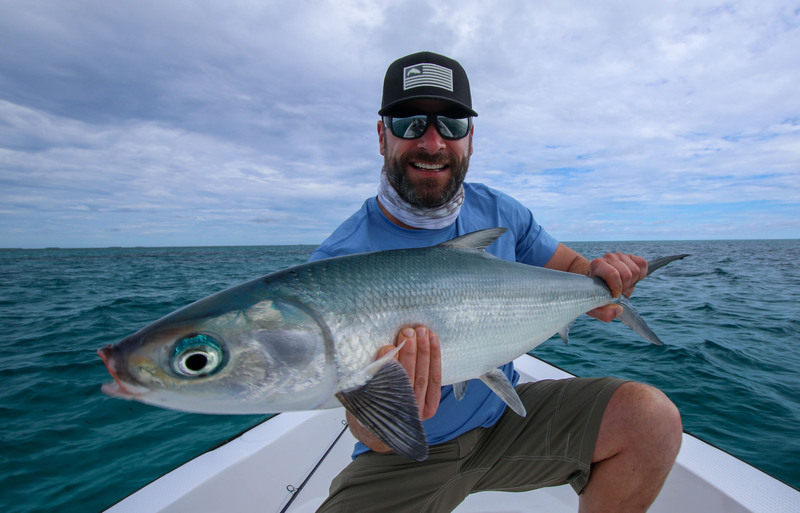 Kyle continued his great week by landing his first milkfish as well as an indo-pacific permit. 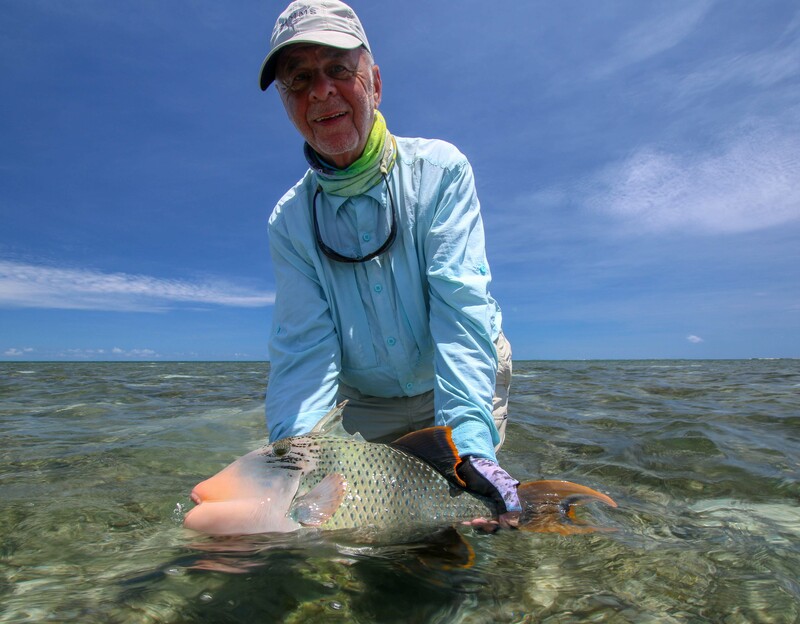 Hakan Undins, a long-time-returner for the Alphonse Fishing Co crew, made hay while the sun was shining and boated two milkfish on the same day. 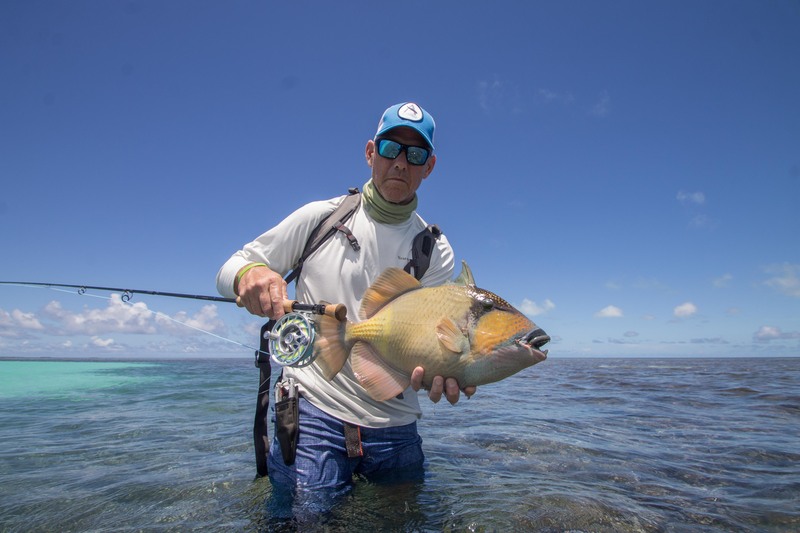 After a few trips to the Seychelles Ryan Monsein finally managed to get the trigger-monkey off his back by landing his first moustache triggerfish. 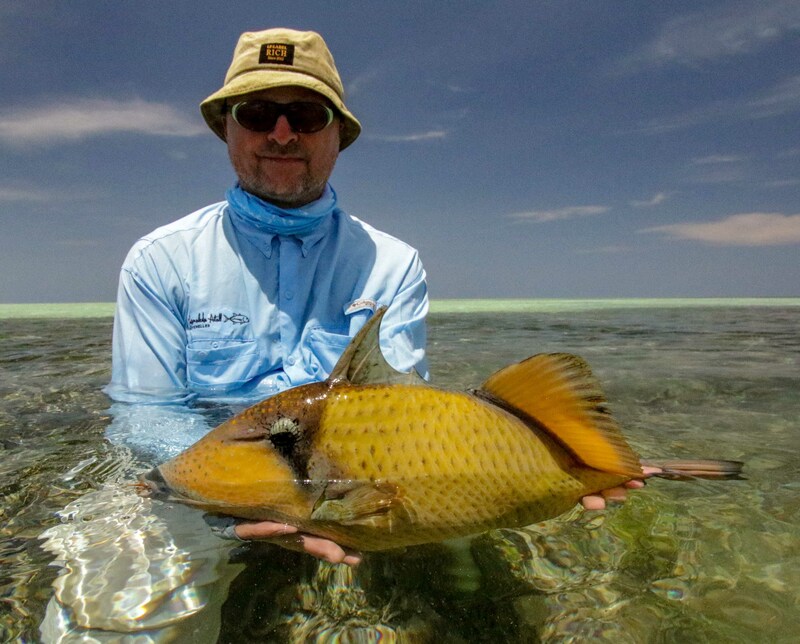 Josh Bowser and Eugenio Loro followed suit with Eugenio landing a monster 51cm yellowmargin triggerfish. This was followed by the week before Christmas and man oh man did Santa deliver for our Russian friends Nikita and Dimitri Mishin, Maxim Rubin, Vladimir and Nikita Orlov, Rodion Demerdzhi and Sergey Pavlov. 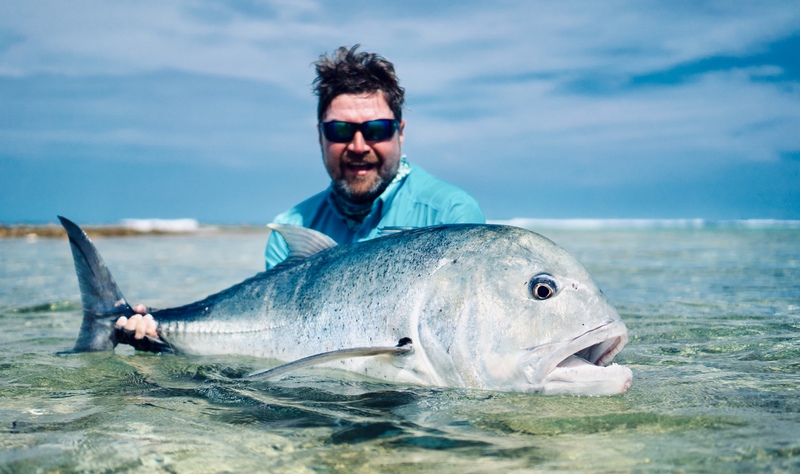 It was full moon spring tides with absolutely flat calm weather for the week and the team took full advantage of the great conditions. Nikita Mishin must have been extra good this year because Santa really came to the party for him this week! 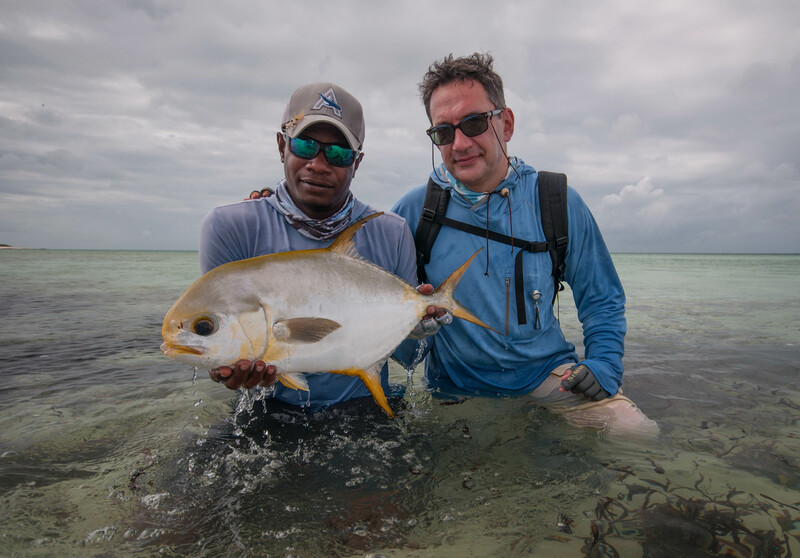 On day one he managed to land not one but two indo-pacific permit within 10 minutes of each other. 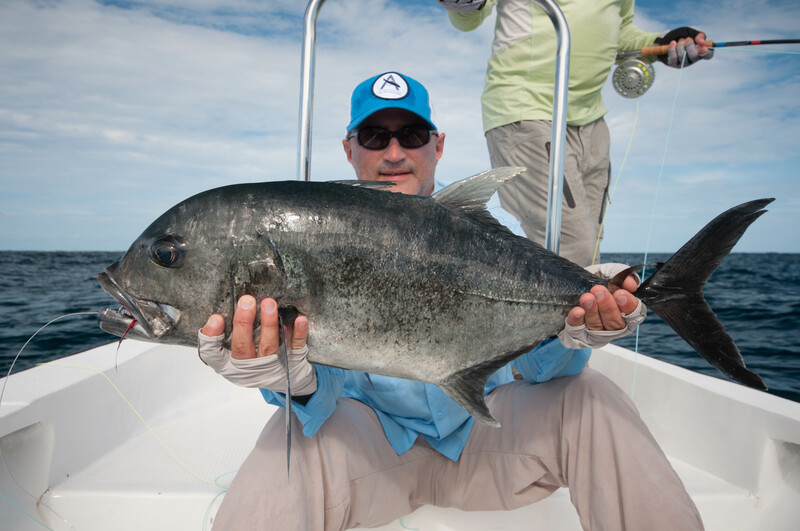 He followed that up with another 70 cm indo-pacific permit the next day. 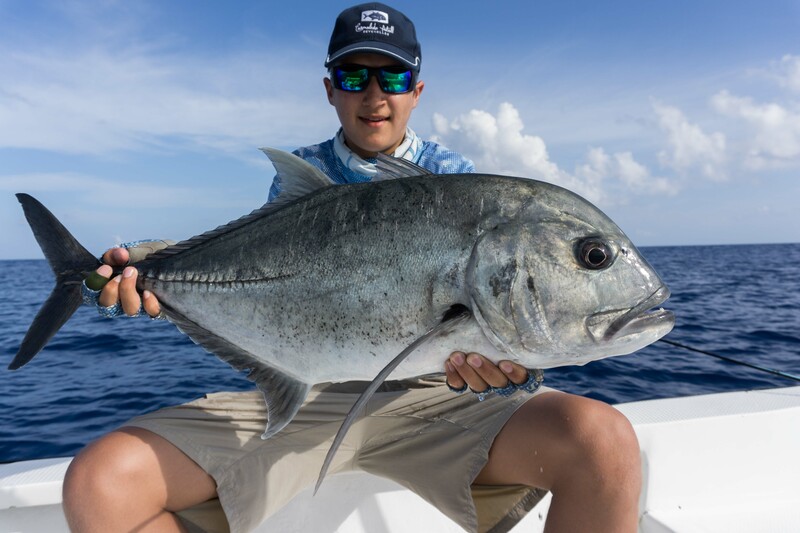 He then went on to land his first milkfish and then went on to slam, catching a bonefish, a handful of GT’s and three moustache triggerfish. 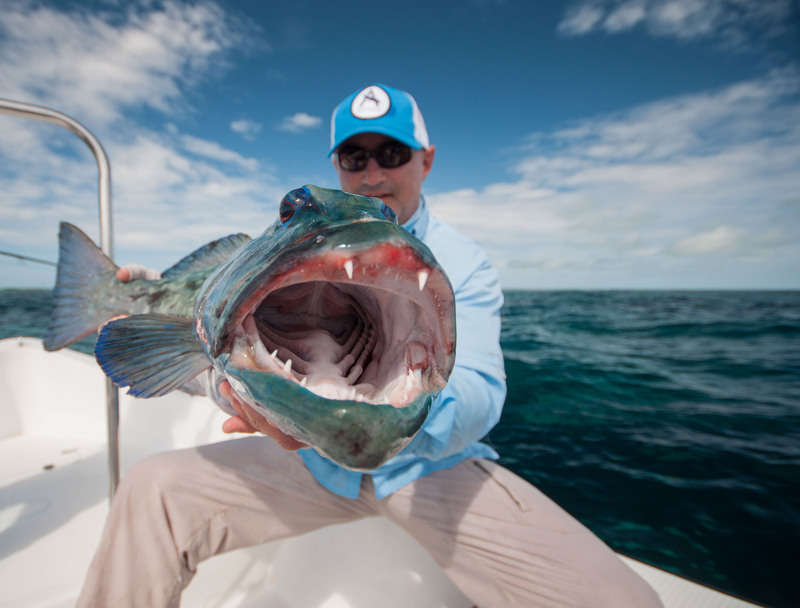 An absolutely incredible week of fishing for one angler. 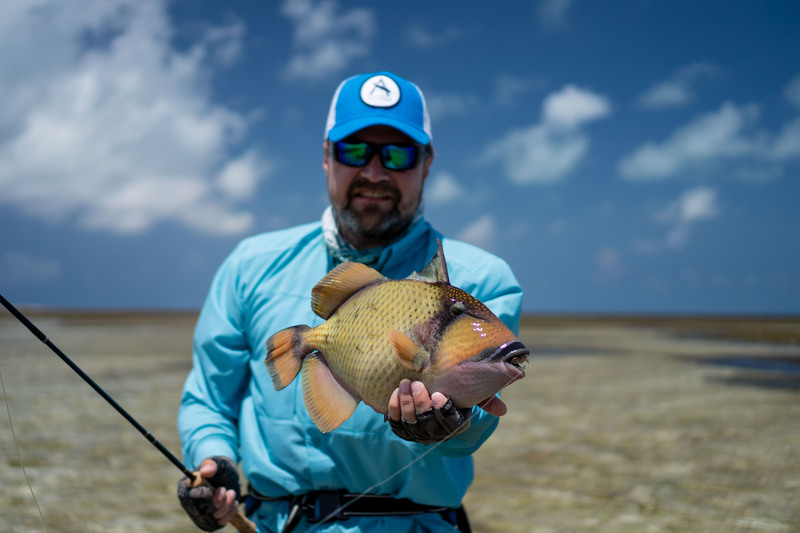 Sergey followed suit and not only did he land a monster moustache triggerfish and a 100 cm GT but he also landed a beast of a napoleon wrasse that measured 105 cm and on the last day of the week he managed to subdue a 110 cm GT cruising a grassy flat, a fish that will live in his and the guide team’s memory for a long time to come! Vladimir had an encounter never to be forgotten. 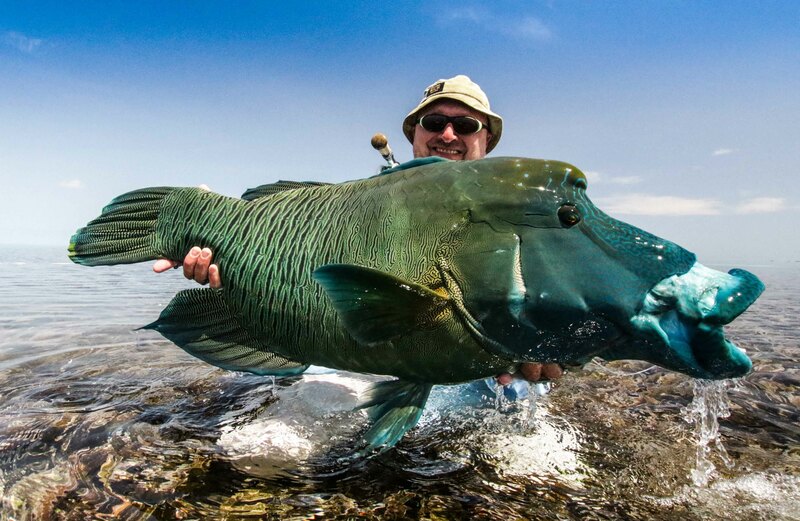 Standing on one of the infamous Storm Ridges of Cosmo he made a cast at an absolute behemoth of a fish. 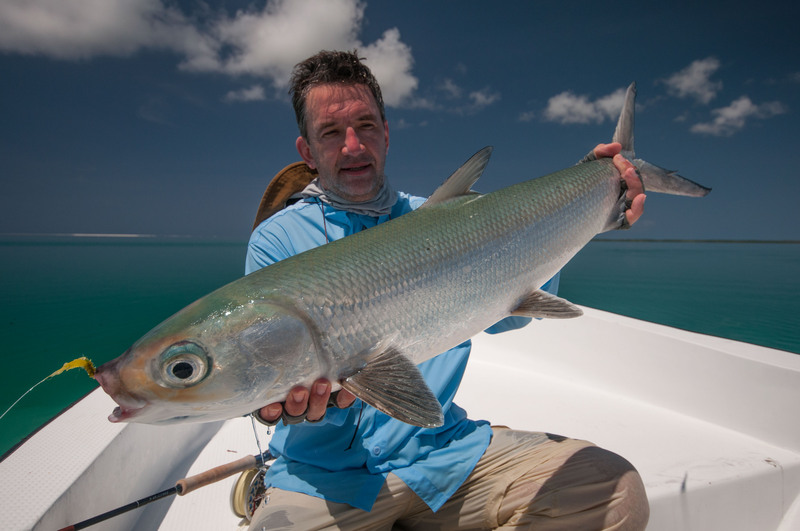 The fish engulfed his Garlic Butter fly and tore off through the surf at a rate of knots, heading for the horizon. With only a few turns of backing left on the reel all hope was lost but somehow Vladimir managed to stop the run. 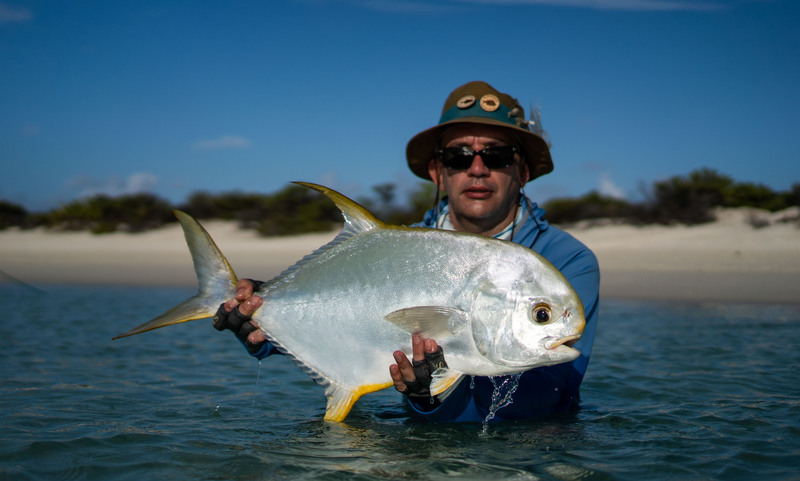 The fish turned and made its way back onto the flats. 15 painful minutes later and the fish was tailed. It measured 123 cm. 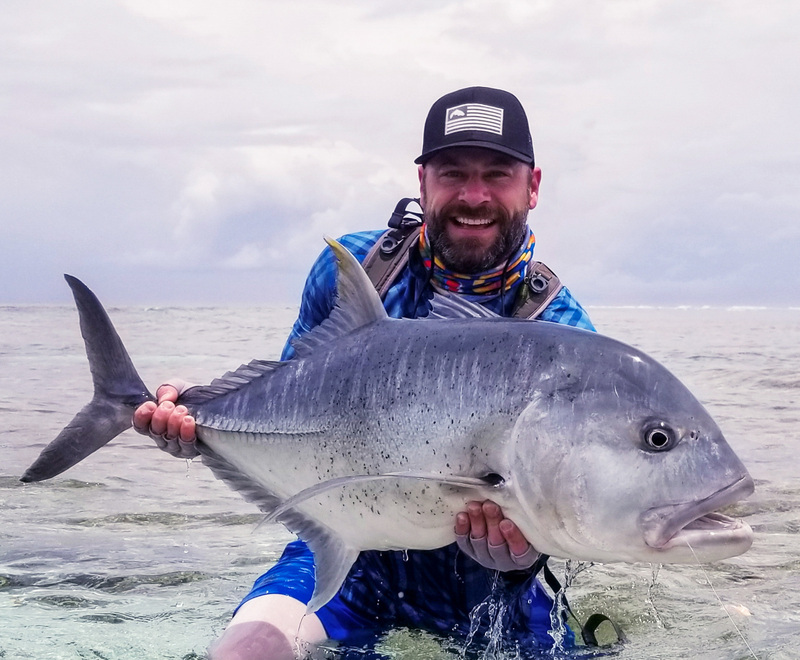 An absolute dinosaur and even more remarkable was that it was landed in some seriously gnarly surf. A week of giants in the Land of Giants as we come to a close for the first half of the season on Cosmo. 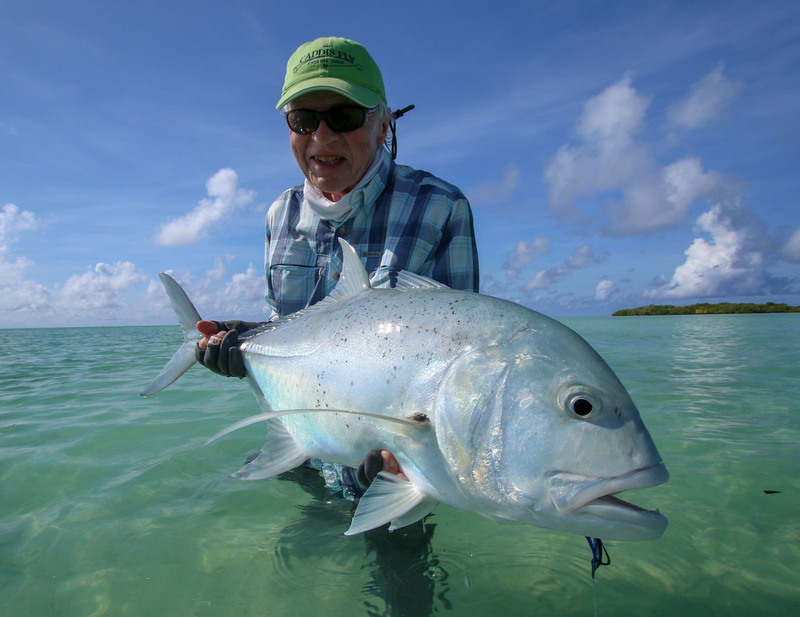 It seems the atoll is just reminding us of what is still to come for the rest of the season as we all take a well-deserved break for Christmas and New Year!